What kind of city do we want? Land policy is a tool that cities can use to encourage relevant answers to this urgent question. 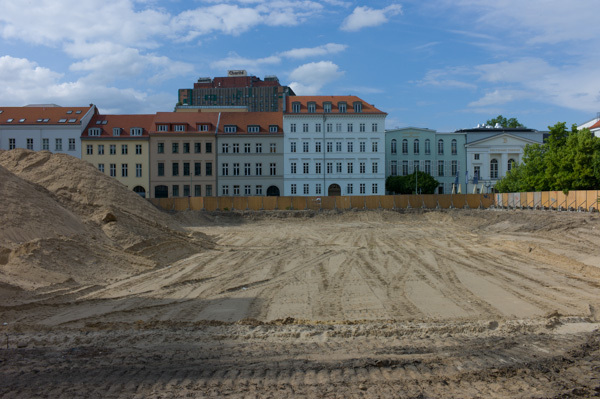 By using innovative land allocation procedures, cities can steer urban development. Socially integrated, diverse, and open cities grow from transparent, participative and engaging procedures, which encourage and empower citizens to take part in the city’s evolution, sharing rights and responsibilities across local communities. 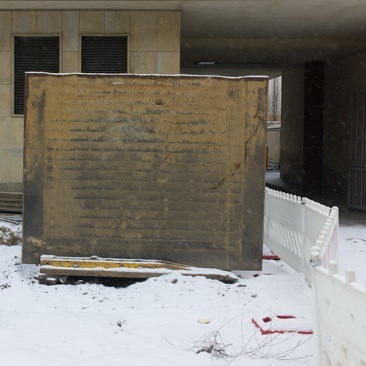 Behutsame Vergabeverfahren (careful tender procedures) help cities to negotiate future uses for sites by involving local communities. Decisions are driven by the economics of long term societal value, rather than short term revenue. Long term leaseholds replace auctions as the primary medium of exchange. 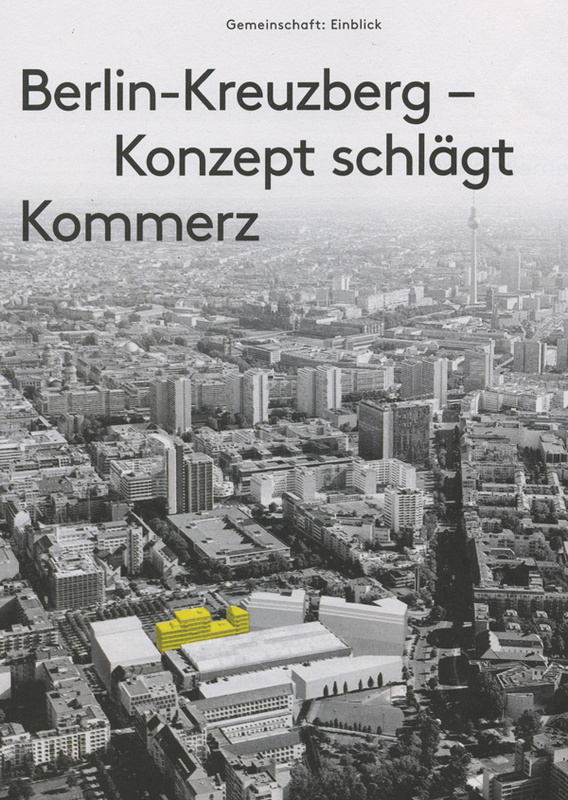 Visit Deadline's contribution to exhibition Neue Standards - Zehn Thesen zum Wohnen in the German Architecture Center (DAZ), Köpenicker Str. 48/49 from 28.10.2016 until 22.01.2017, open Wed - Sun. 15:00 - 20:00. As part of this exhibition, Matthew Griffin will participate in the Y-table talk A House is a _____ at the DAZ on Thursday 08.12.2016 at 19:00. 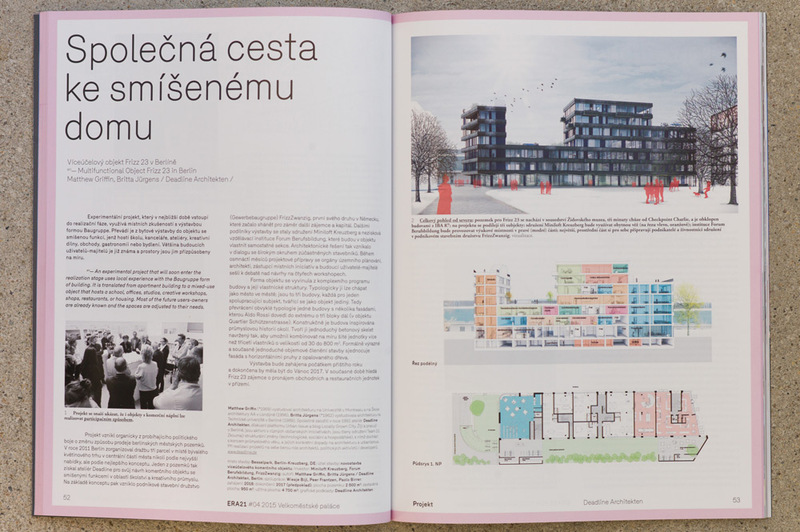 08.10.2015 FRIZZ23 published in czech republic architecture magazin ERA21! 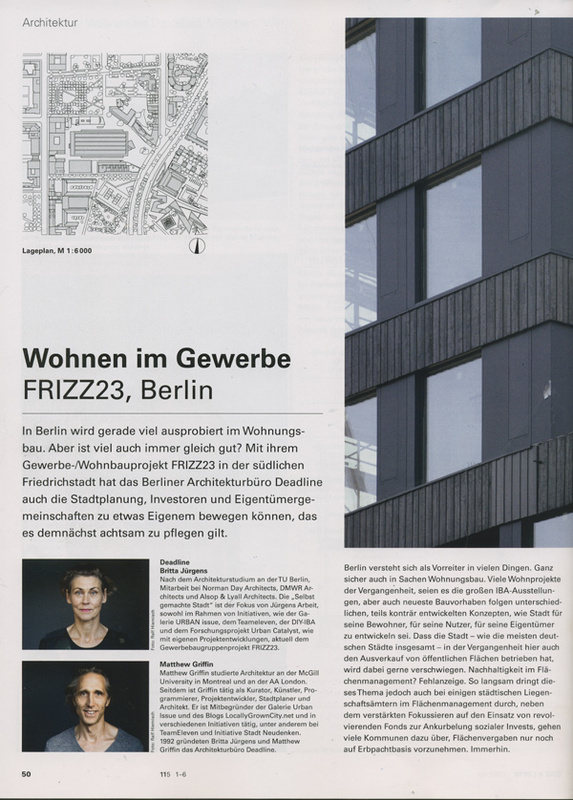 What a nice surprise – our project FRIZZ23 is on the cover of Bauwelt! 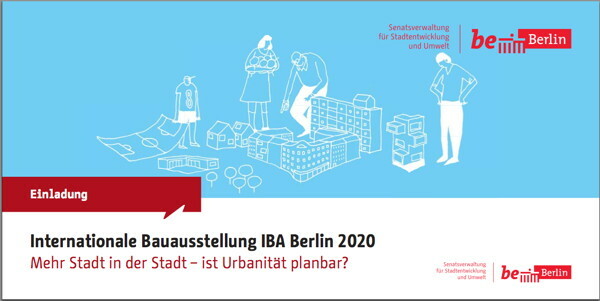 The next IBA Workshop focuses on strategies and instruments for creating urbanity, and how they might be applied outside the city center. 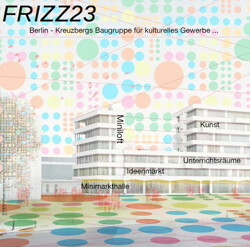 Matthew Griffin will give a short talk about the re-development of the Blumengroßmarkt and Deadline's approach to the FRIZZ23, one of three sites being developed within a model framework for Berlin's new land sales policy. 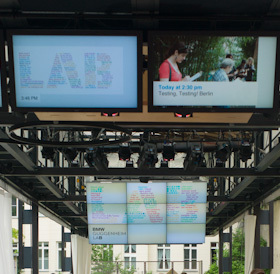 Berlin has become a laboratory for new concepts in architecture. Its architects have developed communication strategies and financial models that enable a different type of practice. They work together with the people that use their buildings, creating projects that integrate the ideas, needs and broad perspectives of the future inhabitants. Their buildings react to the local environment with complex programs that cannot be generated by top down development systems. Matthew Griffin is an architect in Berlin. 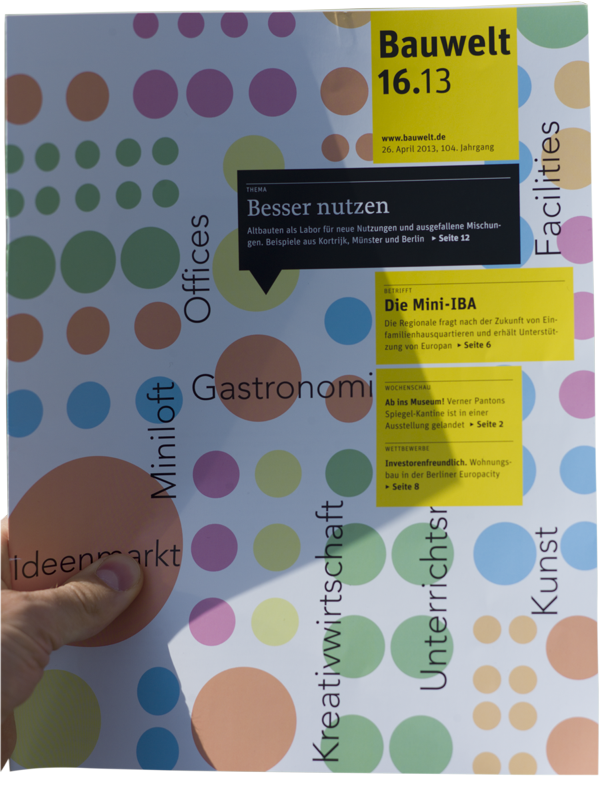 Together with Britta Jürgens he runs the office Deadline Architects. 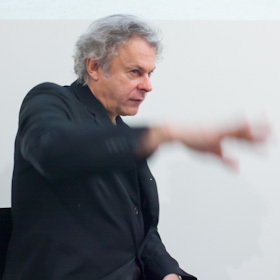 Nikolai von Rosen is an artist, and academic who teaches art in the Architecture department of the ETH Zürich. 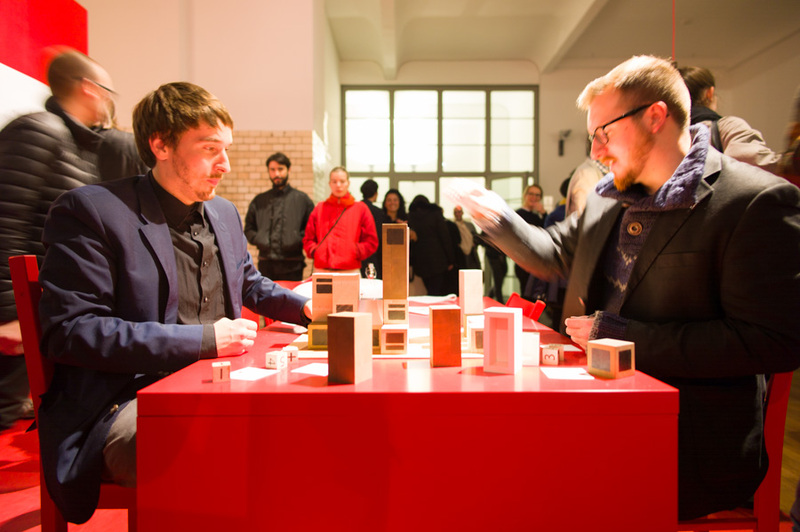 Both participate in Teameleven, a group of architects and urban researchers in Berlin that seeks to intensify public debate about architecture and the politics of urban development. 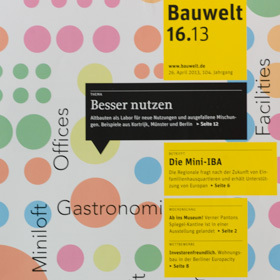 Together they will present their work and its context in Berlin. Suddenly a new term appears, a fantasy, emerging from the chambers of the Berlin senate: Potenzialwertermittlung. This peculiar contrivance is an indication of a destabilized political atmosphere. Are the government wordsmiths trying to preserve a dying concept by giving it a new name? The sellout of publicly owned land seems to be running out of steam. How will Berlin handle its last few remaining properties? Which types of potential do they intend to evaluate? Christine Hunold and Matthew Griffin reclaim this invented word for their exhibition, redefining and enriching the term with their own understanding of urban potential. 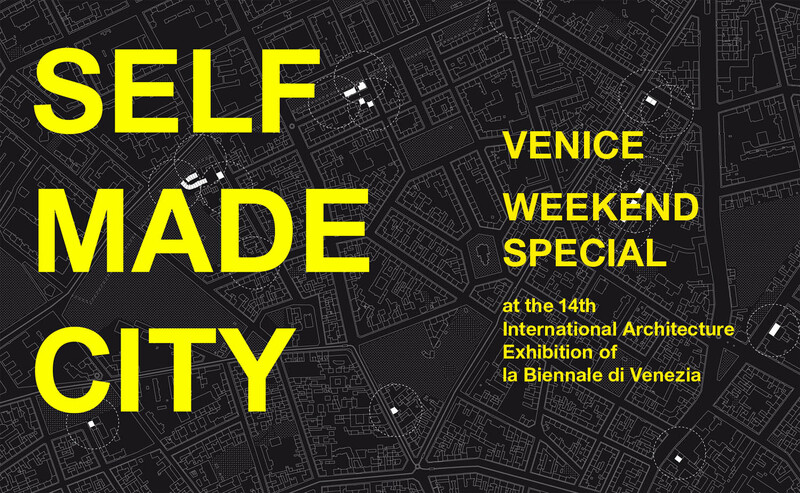 They tackle the delusion of comparability with images and words, seeking to expand the potential of spaces that others are seeking to capitalize on. 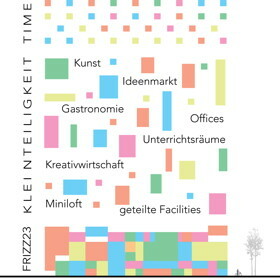 Together with Die Zusammenarbeiter, Carpaneto Schöningh and Hütten & Paläste we have been working on a proposal for the Holzmarkt e.G. This site was made famous by the Bar25, and we want to help them return to the site on a permanent basis. This summer it has become one of Berlin's hot topics. 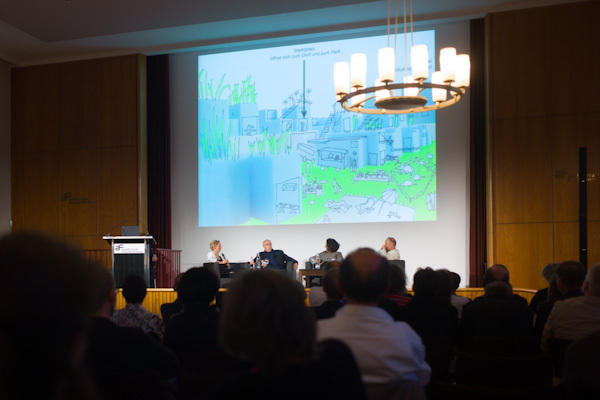 During this years Architekturquartett Thomas Thieme (actor), Cornelia Heller (author and journalist), Wolfgang Kil (architecture critic), Sabine Reeh (reporter for Bayerische TV) enthusiastically discussed our proposal for the Holzmarkt, alongside the Hufeisensiedlung and das Dorf (Bernauer Straße). 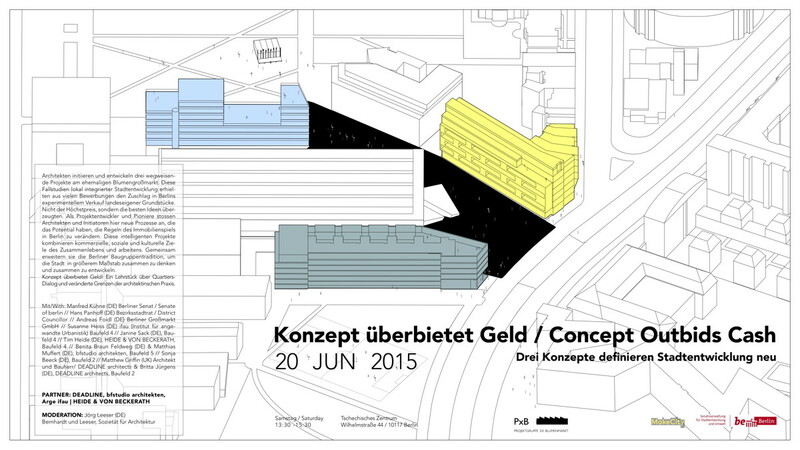 This annual event is organized by the Bundesarchitektenkammer. 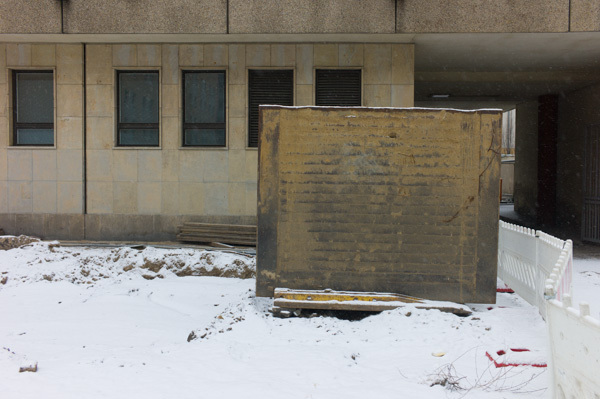 Invalid Street explores bureaucratic design processes and how they can be used by citizens to effect change. 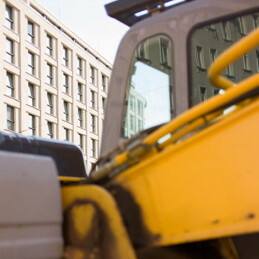 It focuses on the successful campaign of a citizens’ group to update Berlin’s insensitive auto-centric design for Invalidenstrasse, an important street in the historic city center. 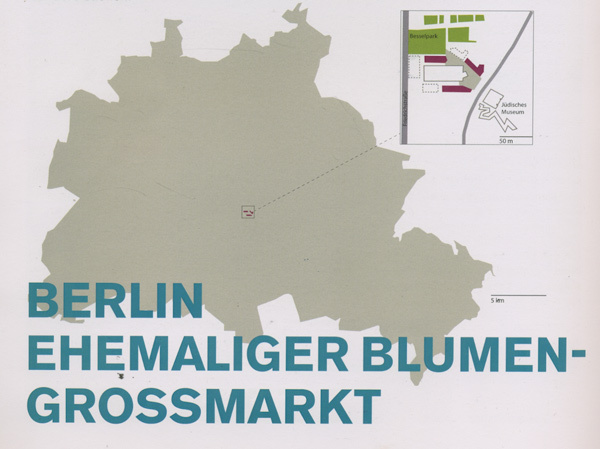 In March 2004 the Berlin government published its plans to widen Invalidenstrasse into a four lane inner ring. The local community was shocked that the city was once again sacrificing its historic center to auto- motive efficiency. 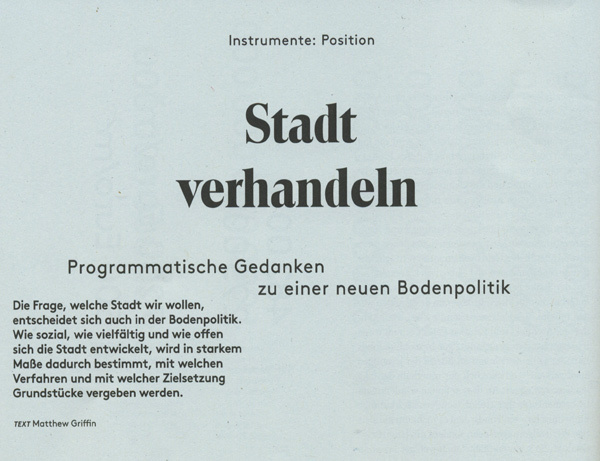 A citizens group, Bürgerinitiative Invalidenstrasse (BII), formed to work for a better solution. It was the beginning of a seven year campaign to improve the city’s anachronistic plan, by working to cross the rigid line that separates the people who design the streets from those who use them. Technology makes ubiquitous participation easier, and citizens now are able and expect to be involved in planning processes. As our society adapts to these new processes, designers must engage themselves as citizens to maintain their relevance. 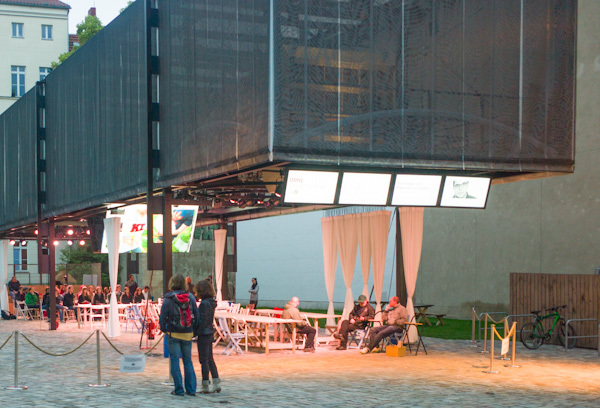 The BII is one example of how a small group of engaged citizens can change urban design. 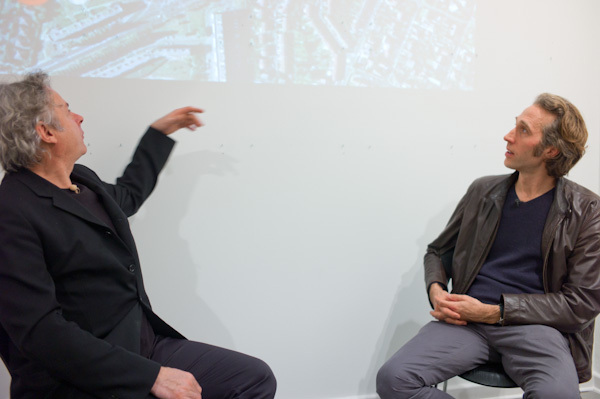 The Berlin BDA launched their 1:1 Dialogues series with a discussion between Edouard François and Matthew Griffin. They talked about their respective practices, their projects, and the stories behind them. Visit Locally Grown City read for a summary of the evening, and the video documentation. 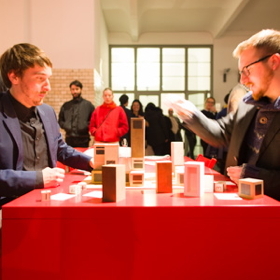 The 1:1 Berliner Architekturdialoge series was launched on 13.12.2011, based on a concept by Francesca Fergusson, and documented by Architecturclips. "Hatch showcases 114 architects who will define the physical fabric of our cities for the next 30 years, as well as the theoretical and interpretive background of architectural practice worldwide. These are practitioners for whom the old categories do not hold, and for whom modernism is no longer the orthodoxy. As the role of architects in cities changes, young practitioners pursue a range of work as writers, critics, curators, teachers, fashion designers, computer programmers, club promoters, materials experts, engineers, installation artists, developers and builders. Critically selected, the work of each architect, writer and photographer in Hatch is examined in detail to uncover the approaches that will come to their full fruition in the coming years and decades. The 800 photographs and drawings of projects give more than just eye candy. With this book you can decide for yourself how good these young stars really are." 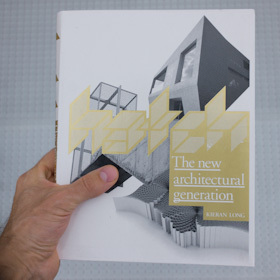 Kieran Long is an architecture critic at the Evening Standard, and author of New London Interiors (2004) and co-author of Architects Today (2004). "Quality, durability and beauty - these are the attributes that have given metal its great appeal. Inspired by the unique and differentiated characteristics of metal, architects and designers have created buildings that are both elegant and dynamic. 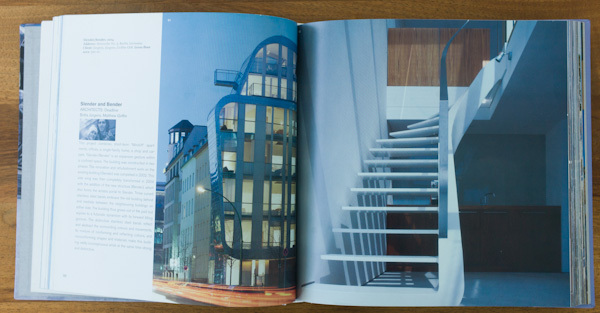 Richly illustrated with photographs and architectural plans, Magic Metal features around 70 outstanding projects by world famous architects such as Frank Gehry, Toyo Ito or Renzo Piano and innovative work by younger architects. 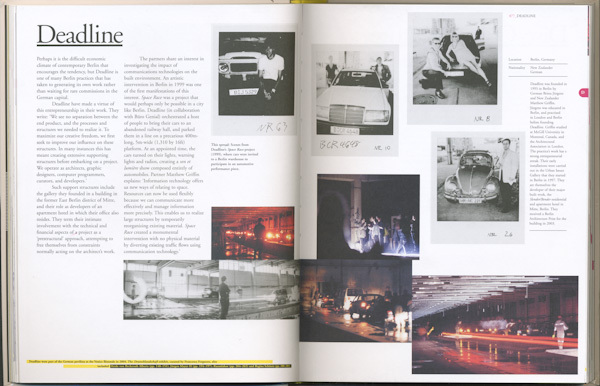 It focuses on modern high-tech buildings in aluminium and steel as well as on new ways of using and presenting classical materials such as copper or zinc." 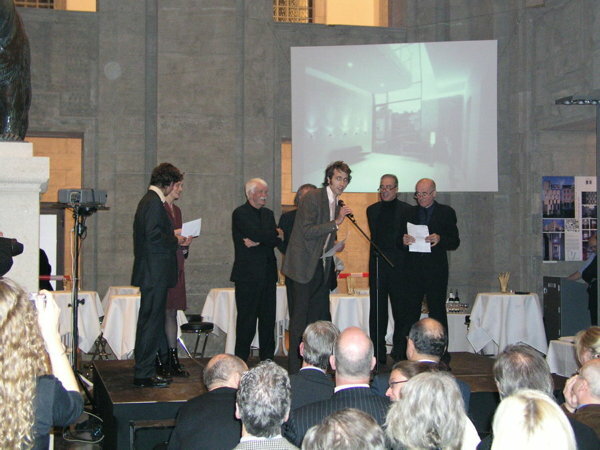 On November 15th 2003 slender was awarded a distinction in the 'Architekturpreis Berlin 2003' by a jury of internationally renowned architects. 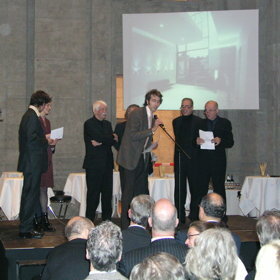 It was chosen from amongst 91 entries of buildings completed in Berlin between 2000 and 2003.